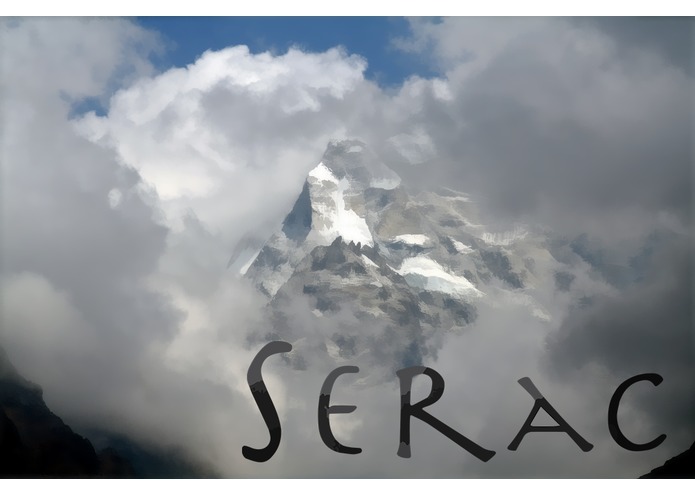 Serac: a haunted, hallucinatory expedition across a frozen mountain, where the climb will continue beyond the summit. 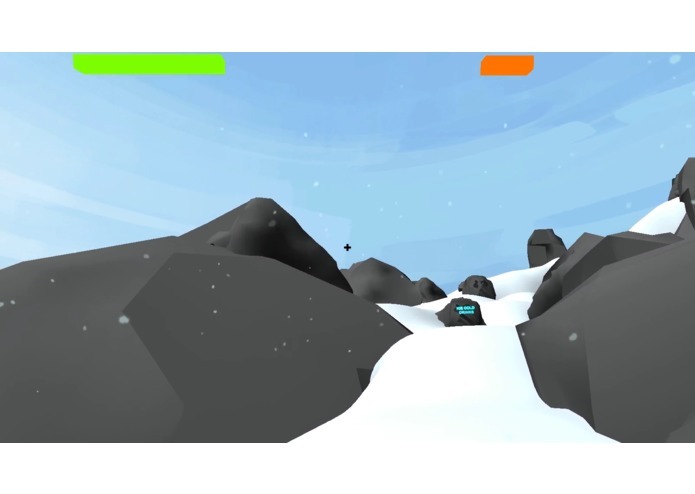 As the game opens, the player is lost on the mountainside. With no available route to descend, the player resumes the climb. Ghostly voices warn the player not to continue; the voices also make observations about the player's progress, reminding the player about the mechanics as an in-game tutorial. 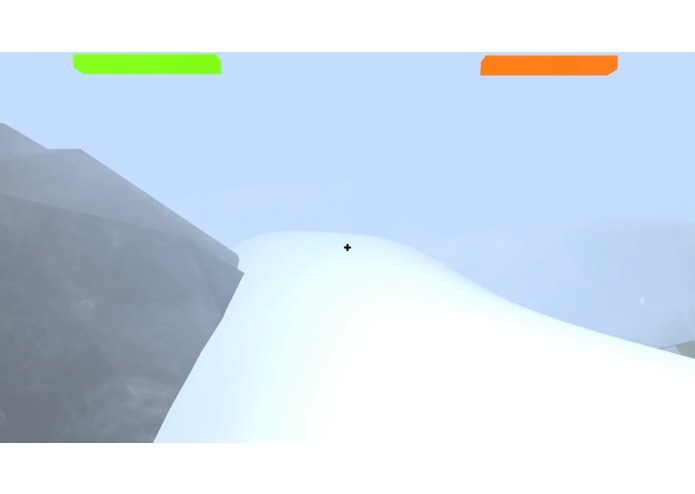 One voice comments contemptuously on the player's confusion; another encourages the player and gives useful suggestions as the player continues with the climb. While the player ascends, the game will induce a growing sense of unreality through environmental storytelling. Audible elements such as the ghostly voices will persist. Visual hallucinations will progress in quantity and intensity. At first the game will inflict small tricks in which an object is half-glimpsed before being gone, or is seen at a distance and turn out to be something else up close: a grimacing face vanishes into the fog and is gone. We are seeking to tap into the phenomenon of pareidolia, in which unclear visual stimuli resolve into spuriously recognized objects, such as a face seen in the clouds. In our game, the visual stimuli will be clear, but fleeting, causing the player to question whether anything was seen. Objects will be out of place on the mountainside: neon lights, even a skyscraper. Later, the hallucinatory elements will become real, as the mountainside is covered with inexplicable debris and scenes: a gravestone; a car crash. The hallucinations will menace the player with symbols of death and loss, and with their incongruousness, cause the player to question the reality of the mountainside. At the same time, the mountain will present threats of exposure. The player will need to manage resources of warmth and fatigue in order to proceed; warmth can be created through exertion (walking and head-shake), but going on without rest will result in collapse. Resting restores strength, but warmth is quickly depleted while resting; this balancing act supplies the main gameplay challenge. A secondary challenge is in navigating the mountainside: prayer flags act as breadcrumbs designating the proper path and urging the player onward. 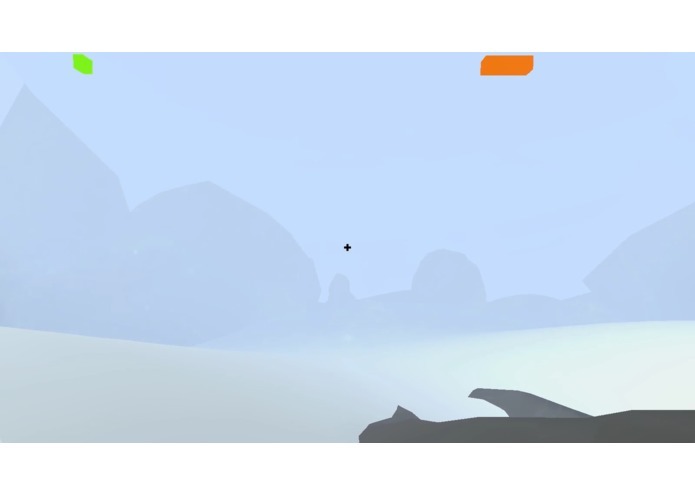 At predefined lookout points, the player will be able to briefly escape the suffocating fog and see the magnificent vistas below. 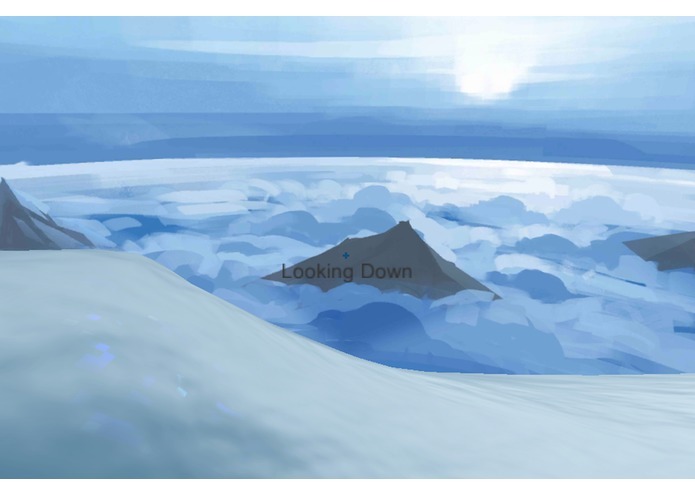 When, ultimately, the player arrives at the peak, he is confronted not only with the majesty of the mountain below, but also with the realization that the summit is only the beginning of the journey.